Born on the 26th of April, 1981, Anar Mammadov has been a successful businessman and philanthropist throughout the past decade. A bachelor's degree in Law from Baku State University. A bachelor's degree in the Arts. A bachelor's degree in Business Administration. 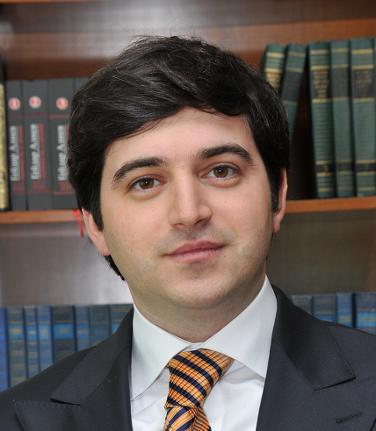 In 2005 Anar Mammadov founded the small investment company ZQAN Holding. By 2013, when the company was re-branded as Garant Holding it had amassed a high number of well-known businesses and brands through strategic acquisitions and mergers. At all times Garant Holding has continued to grow while supporting ethical business practices and a working ethos of social responsibility. Following on from this, Anar Mammadov created the not-for-profit organization the Azerbaijan America Alliance which aims to promote cultural and economic ties between the USA and Azerbaijan, as well as chairing the country's golf federation in 2012, resulting in the building of world class facilities and the hosting of international tournaments.